How Dealers Technology was established: Realzing that there was a need but lack of trainers with knowledge and experience working in the automotive industry, Rafi Hamid started Dealers Technology in 2008. Dealers Technology’s first and the foremost commitment is to provide unparallel training and leadership to dealerships, Rafi Hamid brings a breath of solid knowledge to the training sessions with extensive knowledge and proven skills in the industry. His training methods are quite intriguing and extremely effective in translating the knowledge to the trainees. President and CEO of Dealers Technology Rafi Hamid has over 30 years experience working in dealerships at all levels and past 10 years focusing on Mega dealer groups enterprise management. Rafi has a proven and successful track record in an automobile industry. As a nationally recognized speaker and award winning professional trainer, Rafi has conducted hundreds of in-dealership programs nationwide. In addition to presenting to numerous dealer-20 groups, Mr. Hamid was a featured speaker at industry convention and conferences and was recognized by DrivingSales.com as the 2010 highest rated internet sales training consultant in USA. The unique training program developed and taught by Rafi Hamid is the corner stone of success to hundreds of dealers across the country. His successful training techniques are highly regarded and sought after. President – CEO, Dealers Technology, Inc. an award winning nationally recognized Auto Dealers Sales Training and Consulting Company rated number 1 in USA by the dealers for Training satisfaction. Since taking over the sales and marketing aspects of the group, Dealers Technology / Rafi Hamid managed to dominate the entire Oklahoma Market for Cooper Auto Group by strategic planning and marketing. Cooper Auto Group saturated the brand and conquered the online market for Cooper Auto Group. When it came to SEM and organic ranking on the Internet, the results were astonishing. Record breaking units sales and gross profit were achieved under Rafi Hamid‘s command and control. · 2008 – 2009: vAuto, Inc.
Senior Director Digital Marketing vAuto, primarily responsible for helping major accounts “large dealer groups” development of their digital marketing strategies and branding. Sliced, Diced 450 plus dealerships and trained dealer executives, management and staff members across USA. 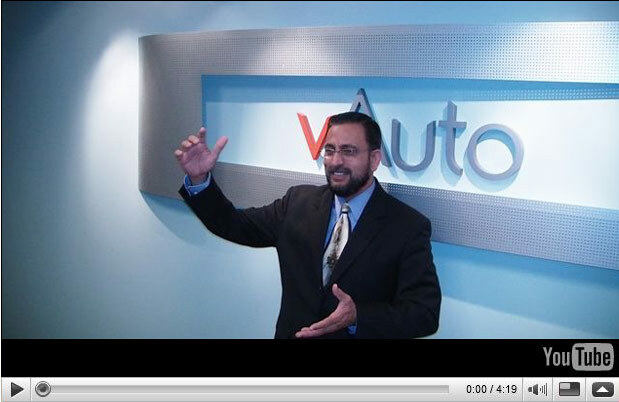 Following is what vAuto's chairman Dale Pollack had to say about Rafi Hamid's conotributions to vAuto's success, “Rafi Hamid is one of the most talented internet experts in the automobile industry today. He has the ability to blend best practice theory with real-world discipline and execution. As a teacher, performer and innovator, I would recommend Rafi to any dealer that wants to enhance their dealership’s performance." Dale Pollak - Founder and Chairman vAuto Inc.
Across Illinois and Indiana with 23 locations with over 40 Franchises. Rafi Hamid was the first Internet Director at Bob Rohrman Auto Group. His initiatives on the internet put that group on the map. What is a Win-Win Sales? Customer want to know who they will be speaking with. Customer want to know where this person is from, their basic company information. Customer need to know that investing their time with this person could result in benefit to them, i.e. satisfying "What is in here for me?" © 2019 Dealers Technology, Inc. All rights reserved. Professional Excellence Award for Exemplary Professionalism & Leadership 2006. Hardest Working Internet Sales Professional Award 2008. Thank you for contacting Dealers Technology. I will be in touch with you within 24 hours. I appreciate the opportunity and look forward to talking to you.